Whodunnknit » VIVA LA FREE KNITTERS REVOLUTION! 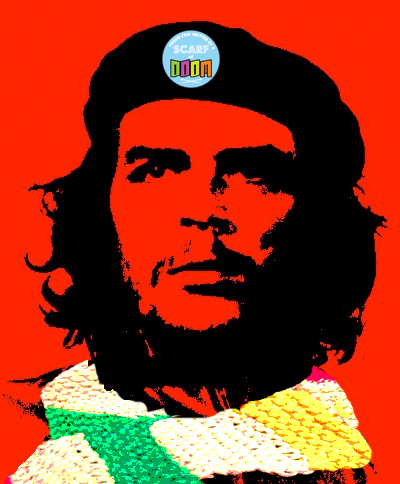 VIVA LA FREE KNITTERS REVOLUTION! When I cast on a scarf in eye-gouging neon yarn at 6.10 on live BBC Breakfast TV I had absolutely no idea that those few garish stitches would be the start of a knitters’ revolution. The scarf, cast on and knit hurriedly and without much thought, has over the last week become a symbol for freedom of knitting. If you missed the story of the BBC Scarfgate Scarf of Doom you can get up to speed here. I couldn’t be more amazed if a yarn monster appeared from my stash and eaten one of my cats. And I couldn’t be more pleased that people have taken my pattern and its message, that all knitters should be free to knit whatever they want without judgement, to heart. BBC Scarfgate Scarf of Doom KAL anyone? 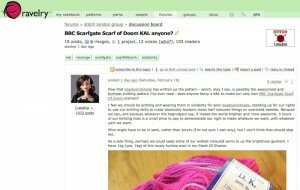 Now that deadlyknitshade has written up the pattern – which, may I say, is possibly the awesomest and funniest knitting pattern I’ve ever read – does anyone fancy a KAL to make our very own BBC Scarfgate Scarf Of Doom scarves? I feel we should be knitting and wearing them in solidarity for poor deadlyknitshade, standing up for our rights to use our knitting skills to make absolutely bonkers clown barf coloured things on oversized needles. Because we can, and because whatever the begrudgers say, it makes the world brighter and more awesome. 3 hours of our knitting lives is a small price to pay to demonstrate our right to make whatever we want, with whatever yarn we want. The Free Knitters Revolution has begun! Once you’ve done these things send me a DM on Ravelry with your address and the badge is yours! You can’t buy them or beg for them or steal them. This is the only way to get this coveted shiny badge. It’s a thank you and a way of showing your support for the revolution. If you’re not a member of Ravelry you can join here and find the thread for the Scarf of Doom Knit Along here. It’s really worth joining as it’s an amazing craft community, and is the place to find most of the world’s knitting patterns too. You can also find me on there and friend me as Deadly Knitshade (I’d be happy to friend you back) and have a nose at all my Whodunnknit patterns too. The pattern download count now stands at 152 and rising. I’ve had tweets of promised knits from as far afield as Germany, Austria and New Zealand too. It’s amazing to see such an uplifting and fun movement in the world of knitting. My faith in knitters in general and their willingness to laugh and support each other, which never flagged even when the insults were flying, is totally justified. You folks are amazing. The point of all this, of course, isn’t just about being free to knit whatever you want without judgement. It’s about being free to be whoever you want to be without judgement and without being made to feel ashamed of it. 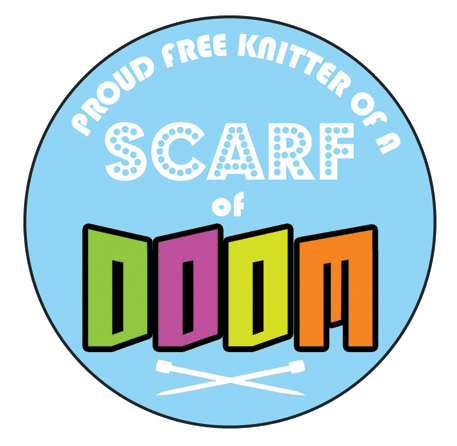 So join me, and many other proud free knitters, in stitching a Scarf of Doom to show your solidarity for knitting freedom and all freedom. Or don’t. After all, you’re free to do whatever you want. POWER TO THE PURLY PEOPLE! Good work deadly – mission accomplished. 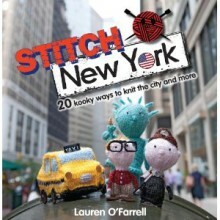 Next mission – get more men knitting…in public! I would be happy to help you get this mission off the ground. Really – any of them live in Leicester – how can I appeal to get men knitting and crocheting? Fabulous! What a great way to remind people that we are free to make what we like, using what we like! Well done! Thanks. So pleased with how many people are standing together against the nastiness. Grear Stuff! Hope to meet up with you at the Ventnor ,Isle of wight ‘yarnstorming’ event in April. Come for tea – I make lovely scones! !